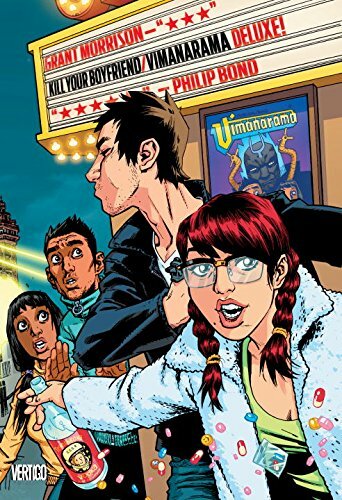 9781401265977 | Vertigo, January 31, 2017, cover price $29.99 | About this edition: The Doom Patrol must face new challenges: the final fate of the Brotherhood of Dada, the rise of the unstoppable Candlemaker, Danny the Street meeting his cosmic destiny and Crazy Jane attempting to find her place in the world. The Dynamic Duo uncovers clues involving the mysterious death of Bruce Wayne before facing off against each other in a heated battle that both heroes will regret - if they live through it. 9781848569935 | Gardners Books, February 25, 2011, cover price $31.25 | About this edition: The Dynamic Duo uncovers clues involving the mysterious death of Bruce Wayne before facing off against each other in a heated battle that both heroes will regret - if they live through it. 9781848565388 | Gardners Books, April 24, 2010, cover price $32.05 | About this edition: Spinning out of Batman Rip, the new Dynamic Duo hits the streets with a bang in their new flying Batmobile to face an assemblage of villains called the Circus of Strange, and tackle their first mission - investigating an abduction by the mysterious Domino Killer. 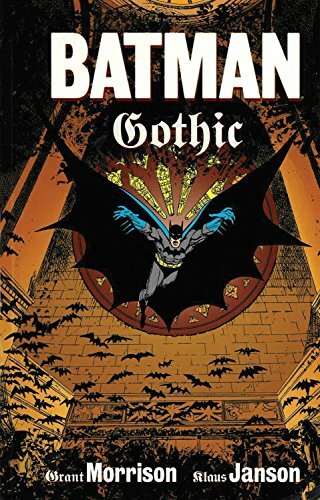 9780857684271 | Gardners Books, May 25, 2012, cover price $24.65 | About this edition: On the eve of Bruce Wayne's return to Gotham City, the new Batman and Robin team must deal with the return of the Joker. 9781848569942 | Gardners Books, December 16, 2011, cover price $24.65 | About this edition: The dynamic duo uncovers clues involving the mysterious death of Bruce Wayne before facing off against each other in a heated battle that both heroes will regret - if they live through it! 9780857682130 | Gardners Books, May 27, 2011, cover price $18.55 | About this edition: Spinning out of Batman RIP, the new Dynamic Duo hits the streets with a bang in their new flying Batmobile to face an assemblage of villains called the Circus of Strange, and tackle their first mission - investigating an abduction by the mysterious Domino Killer. 9781401265250 | Dc Comics, November 22, 2016, cover price $29.99 | also contains The Multiversity | About this edition: GRANT MORRISON'S #1 NEW YORK TIMES BESTSELLERThe biggest adventure in DC's history is here! 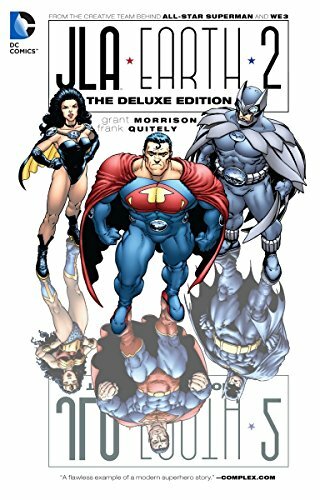 9781401256821 | Deluxe edition (Dc Comics, October 27, 2015), cover price $49.99 | About this edition: THE #1 NEW YORK TIMES BESTSELLERThe biggest adventure in DC's history is here! 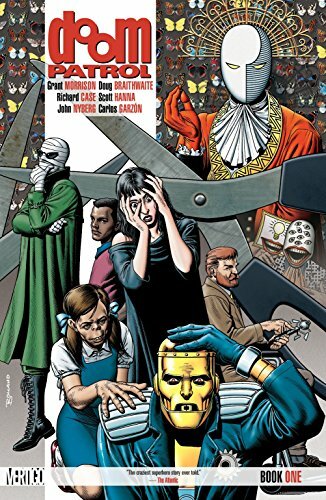 9781401263799 | Vertigo, August 30, 2016, cover price $24.99 | About this edition: Originally conceived in the 1960s by the visionary team of writer Arnold Drake and artist Bruno Premiani, the Doom Patrol was reborn a generation later through the singular imagination of a young Scottish author — and the result took American comics in a wholly unexpected direction. 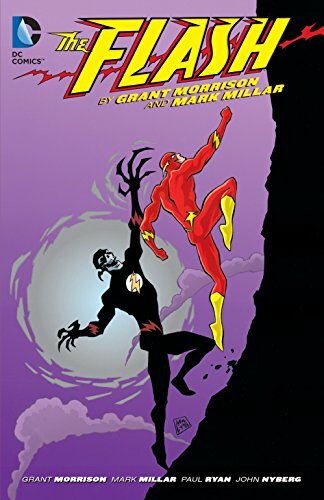 9781401261023, titled "The Flash by Grant Morrison and Mark Millar" | Dc Comics, April 26, 2016, cover price $19.99 | About this edition: In this acclaimed collaboration, iconic comic book creators Grant Morrison (MULTIVERSITY) and Mark Millar (THE AUTHORITY) conspire to put the Scarlet Speedster through the most grueling and life-changing challenges they can conjure up! 9781401261429 | Deluxe edition (Vertigo, March 1, 2016), cover price $19.99 | About this edition: Two vibrant, disruptive and groundbreaking narratives from comics auteurs Grant Morrison and Philip Bondâcollected in their entirety for the first time ever! One of Grant Morrison's most controversial and trippiest and abstract comic book titles! 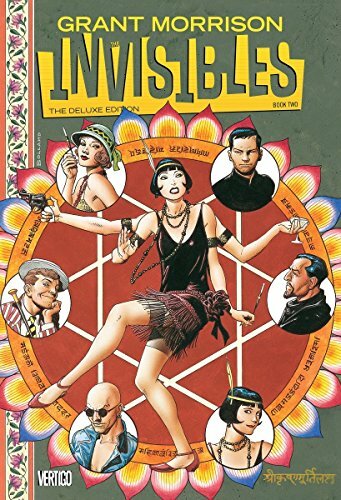 Follow the adventures of The Invisibles, a secret organization out to battle against physical and psychic oppression brought upon humanity by the interdemsional alien gods of the Archons of Outer Church!Collects THE INVISIBLES #1-12, ABSOLUTE VERTIGO #1. 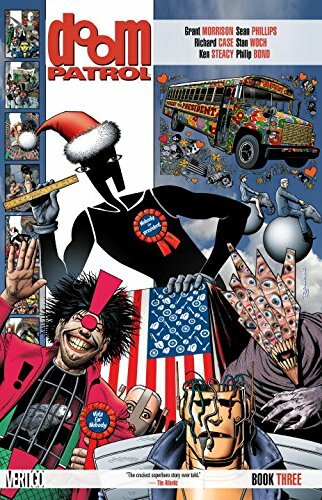 9781401245023 | Deluxe edition (Vertigo, February 18, 2014), cover price $29.99 | About this edition: One of Grant Morrison's most controversial and trippiest and abstract comic book titles! 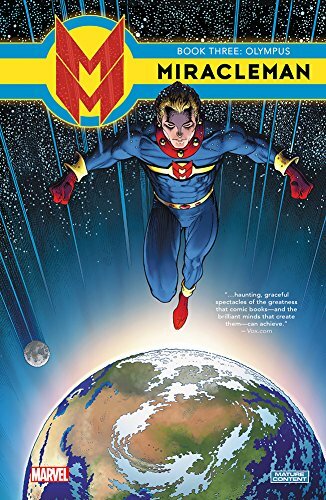 9781401263126 | Dc Comics, February 23, 2016, cover price $29.99 | About this edition: The groundbreaking series from Grant Morrison that led American comics in a wholly unexpected direction. 9781401260033, titled "JLA Earth 2: Earth 2" | Pck har/dv edition (Dc Comics, August 11, 2015), cover price $26.99 | About this edition: In a parallel universe, Lex Luthor is the greatest hero on the planet. 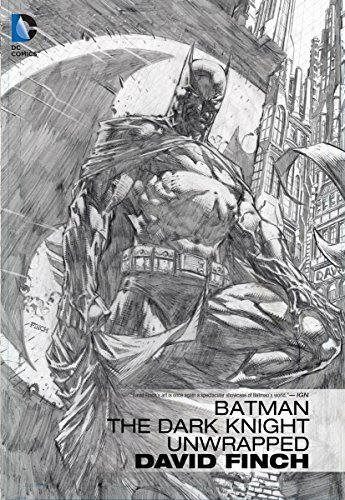 9781401248840 | Dc Comics, May 19, 2015, cover price $34.99 | About this edition: A sketch edition of some of comics superstar David Finch's greatest Batman stories from Batman: The Dark Knight, DC Comics: The New 52 and more! 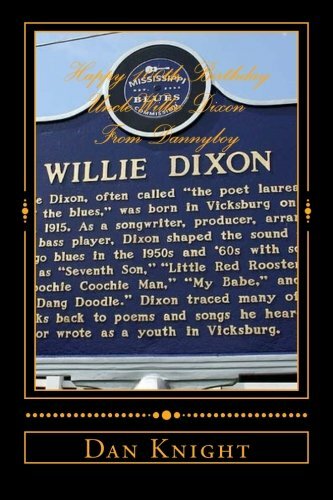 By Dan Edward Knight, Sr.
9781512266641 | Large print edition (Createspace Independent Pub, May 18, 2015), cover price $312.20 | About this edition: I WATCHED MY UNCLE ON JUBILEE SHOWCASE PLAY THE BASS FIDDLE AS A CHILD AND LATER I CAME BY THE STUDIO ON 77TH AND RACINE AND HEARD HIM AND MY COUSINS AND BAND MEMBERS PLAY. Product Description: FOR USE IN SCHOOLS AND LIBRARIES ONLY. 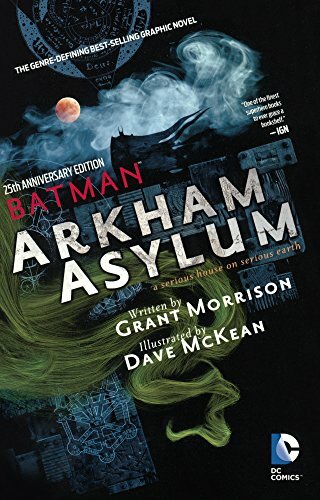 Collects the comic depicting the Joker's rise to power at Arkham Asylum and the ultimatum he issues to Batman, along with supplementary material and a fully annoted script for the original graphic novel. 9780606372558 | Anv edition (Turtleback Books, November 11, 2014), cover price $33.05 | About this edition: FOR USE IN SCHOOLS AND LIBRARIES ONLY. 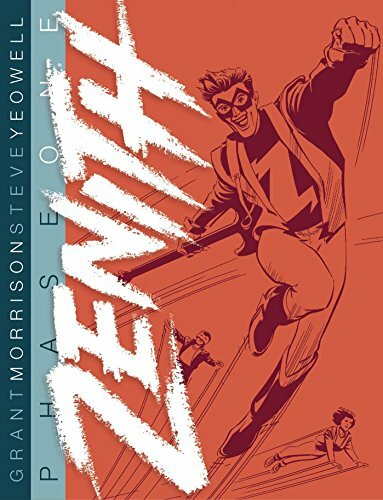 9781781082768, titled "Zenith Phase One: Phase 1" | Simon & Schuster, October 21, 2014, cover price $25.00 | About this edition: Zenith Phase 1, Grant Morrison's first comics masterpeice with unforgetable art by Steve Yeowell, has been unavailable to trade for twenty years, but is published again here in a stunning new hardback edition. 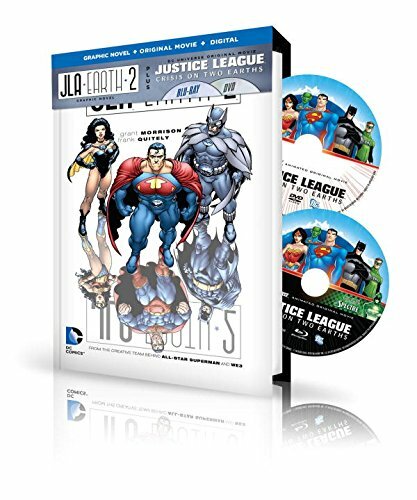 9781401244101, titled "JLA Earth 2" | Deluxe edition (Dc Comics, October 8, 2013), cover price $24.99 | About this edition: They are the world's gravest super-villains: Ultraman, Owlman, Superwoman, Power Ring and Johnny Quick--the legendary Crime Syndicate of Amerika. 9781401251352, titled "JLA Earth 2" | Reissue edition (Dc Comics, September 9, 2014), cover price $14.99 | also contains Jla: Earth 2 | About this edition: They are the world's gravest super-villains: Ultraman, Owlman, Superwoman, Power Ring and Johnny Quick--the legendary Crime Syndicate of Amerika. 9781401240950 | Dc Comics, November 13, 2012, cover price $14.99 | About this edition: They are the world's gravest super-villains: Ultraman, Owlman, Superwoman, Power Ring and Johnny Quick—the legendary Crime Syndicate of Amerika! 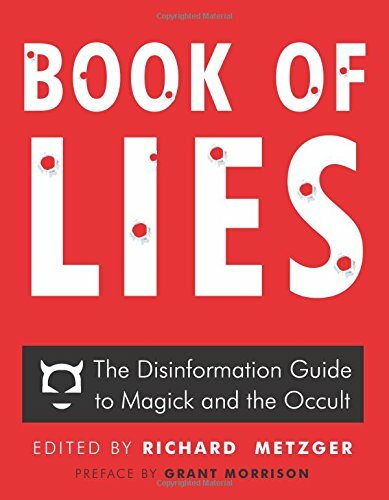 9781938875106 | Reprint edition (Disinformation Co, September 1, 2014), cover price $21.95 | About this edition: First published in 2003, Book of Lies was hailed as a 21st century grimoire and instantly became a cult classic. 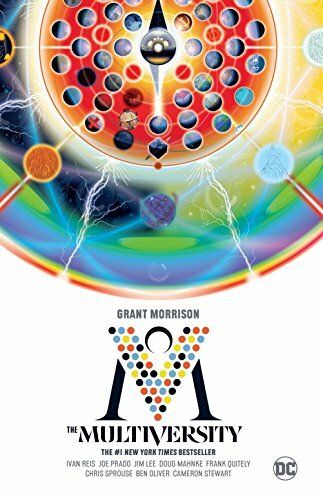 9781401245993 | Deluxe edition (Vertigo, August 19, 2014), cover price $29.99 | About this edition: One of Grant Morrison's most controversial, trippiest and abstract comic books ever is back in a second deluxe edition hardcover. 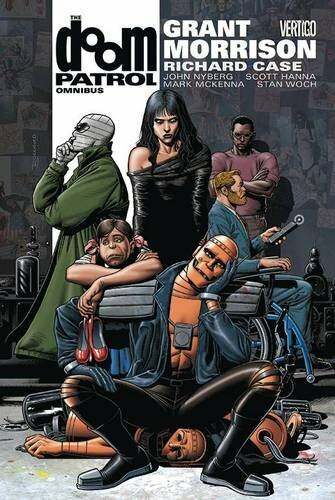 9781401245627 | Vertigo, August 5, 2014, cover price $150.00 | About this edition: The new Doom Patrol puts itself back together after nearly being destroyed, and things start to get a lot weirder for everybody. 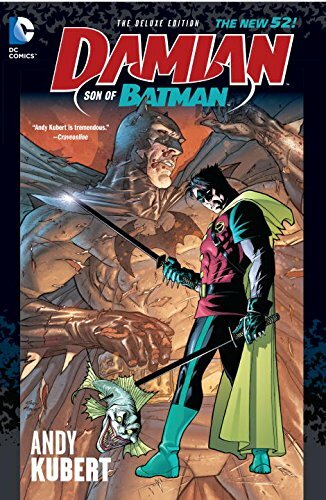 9781401246426, titled "Damian: Son of Batman: Son of Batman Deluxe Edition" | Deluxe edition (Dc Comics, July 22, 2014), cover price $24.99 | About this edition: Damian Wayne, the son of Batman, has adopted the cape and cowl as his own.